The Last of the Fall 2016 Tees – Zombies, Run! 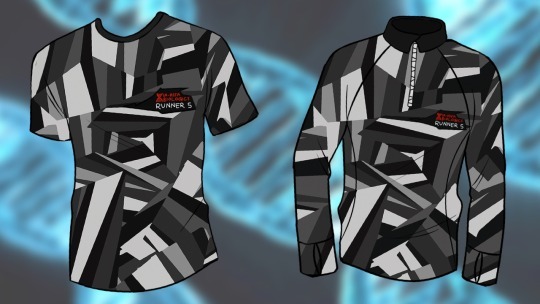 Sleek, stylish, and perfect for infiltrating a secretive pharmaceutical company – it’s the Fall 2016 Virtual Race shirt. Featuring an all-over dye sublimation print and wicking technology, they’re designed for runners. Plus, the long sleeve one has thumb holes. Fancy and functional. The last few are now available in the ZR Shop, but stocks are limited. Be quick if you want one – sales must end on Sunday 15 January. Head to the ZR Shop now to get yours!